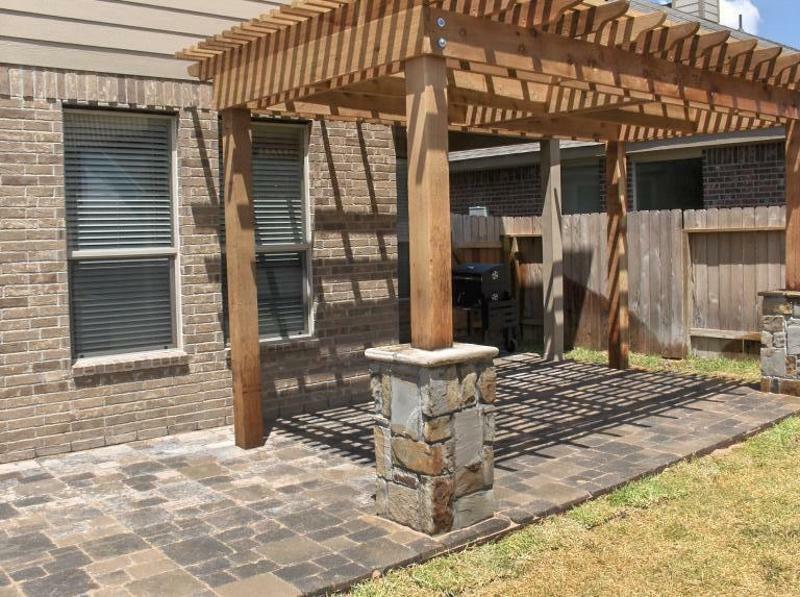 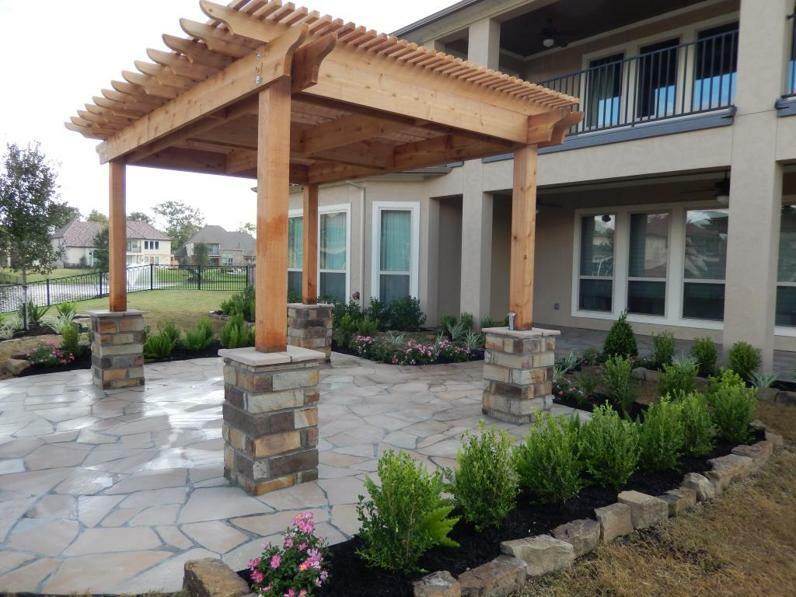 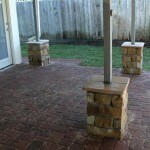 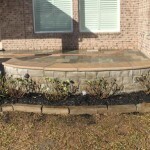 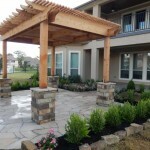 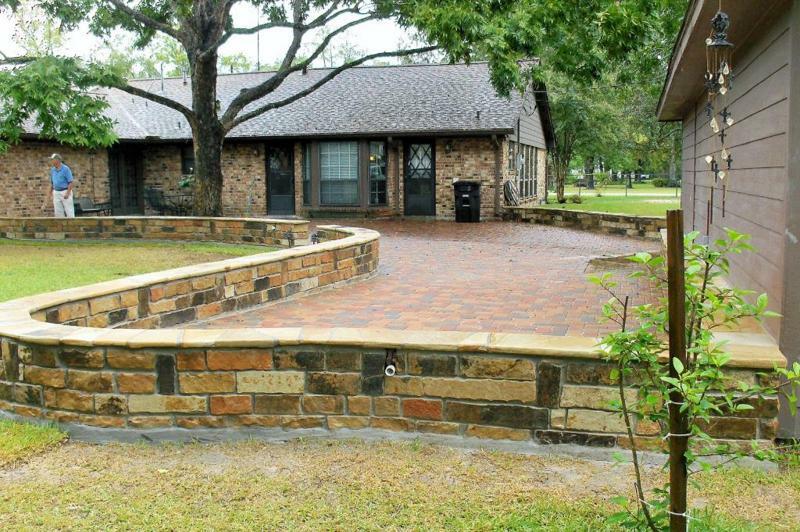 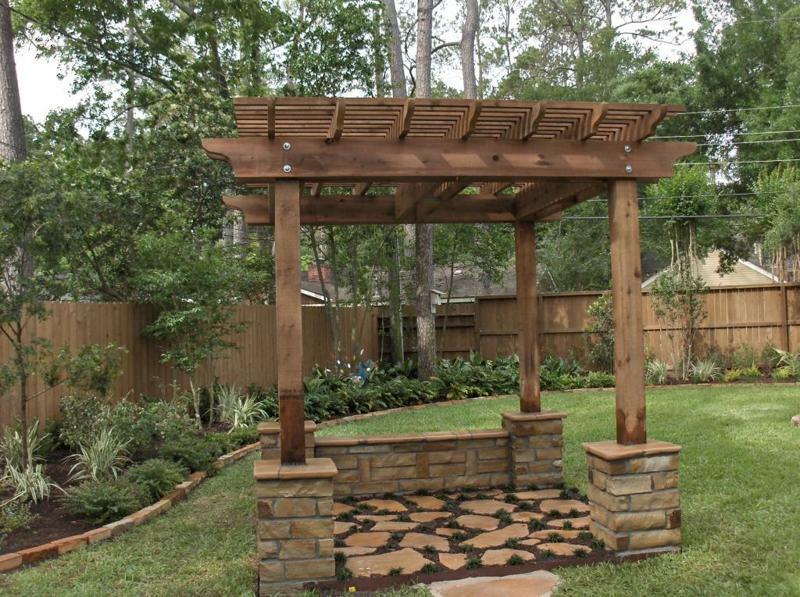 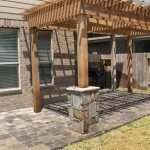 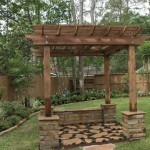 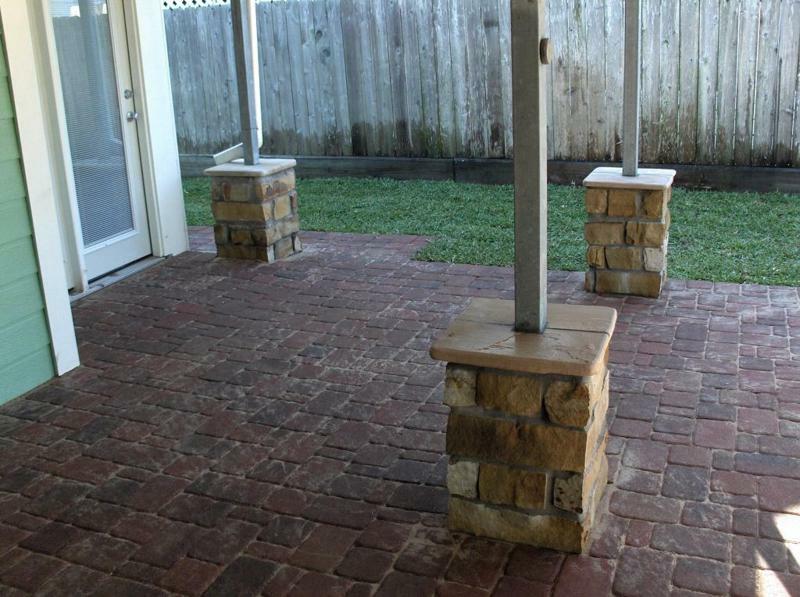 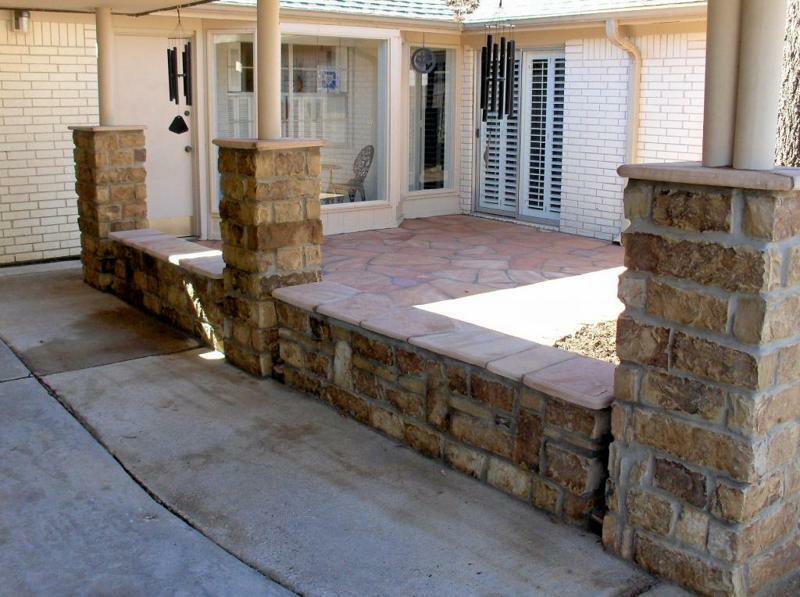 Stone columns built around porch or pergola posts are normally 2′ to 3′ tall, 16” to 18” square capped with flagstone on a concrete footer. 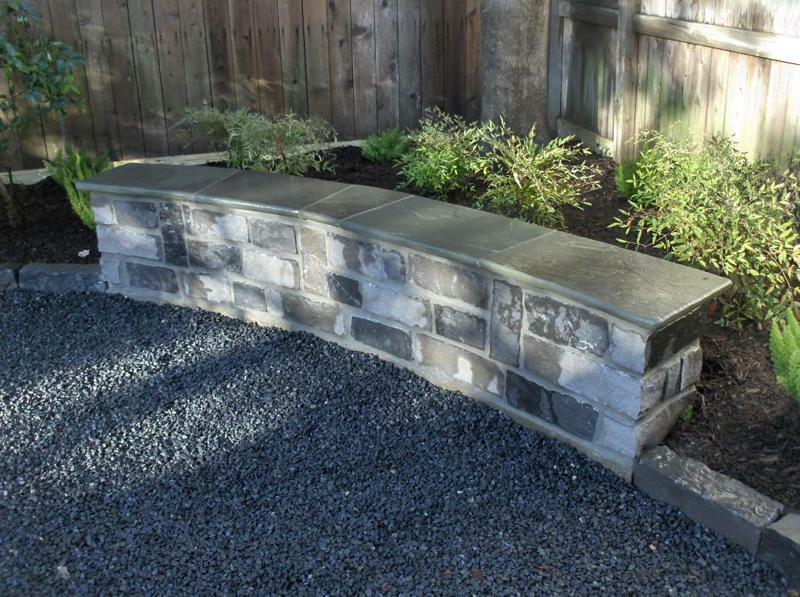 Sitting benches are typically 18” tall, 14” wide seating tops. 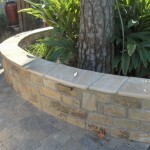 Varying lengths and shapes from curved to straight or “L” shaped. 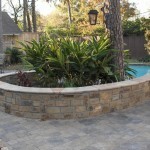 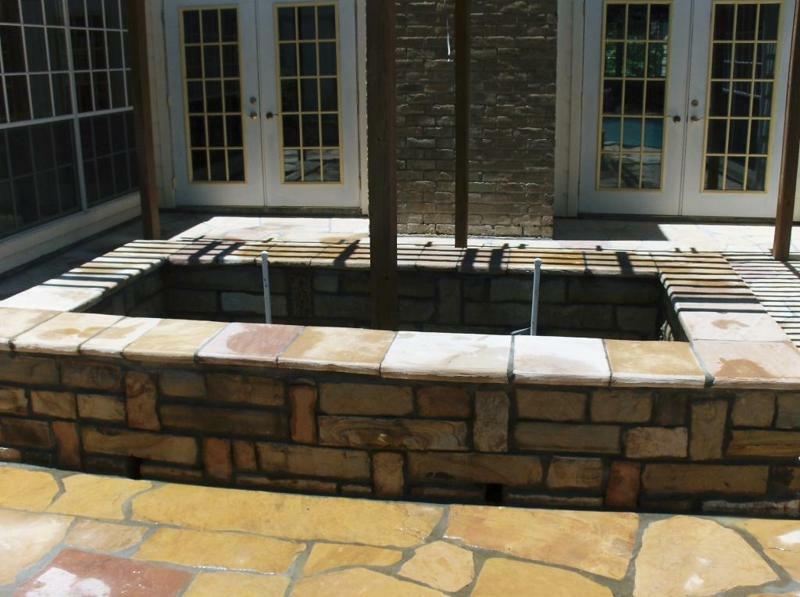 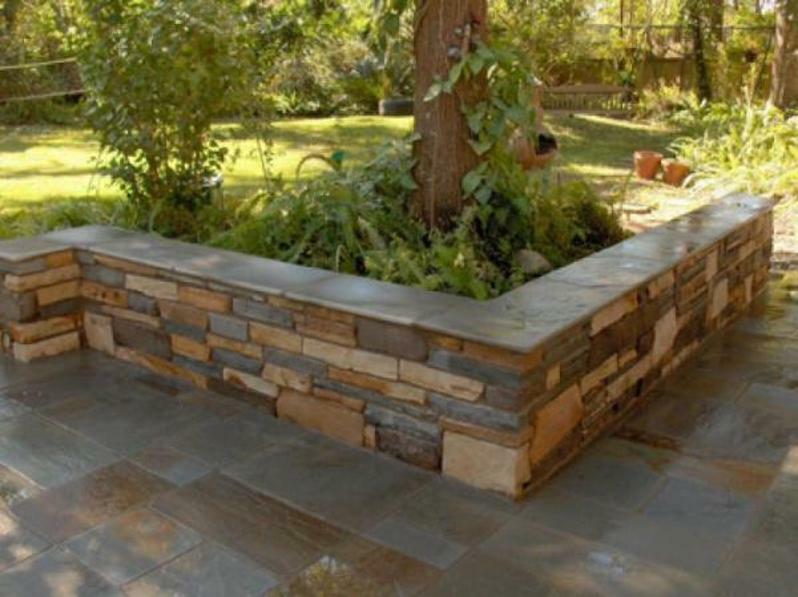 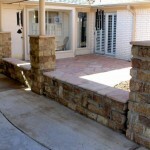 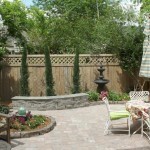 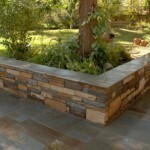 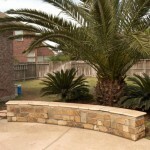 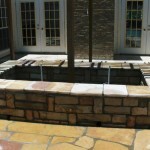 Stone walls depends on height and width specifications, basic construction as sitting walls. 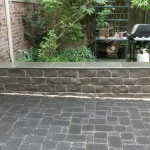 Mix size and color sitting wall capped with penn full color random rectangles. 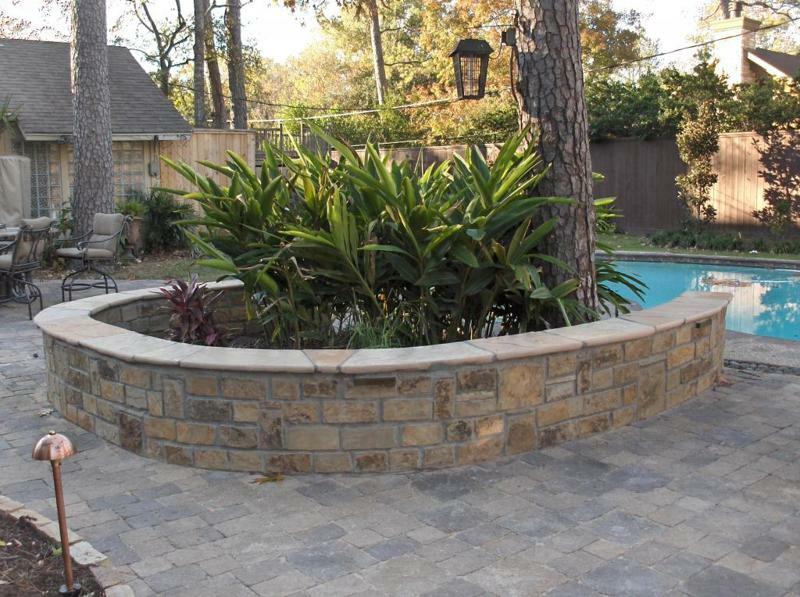 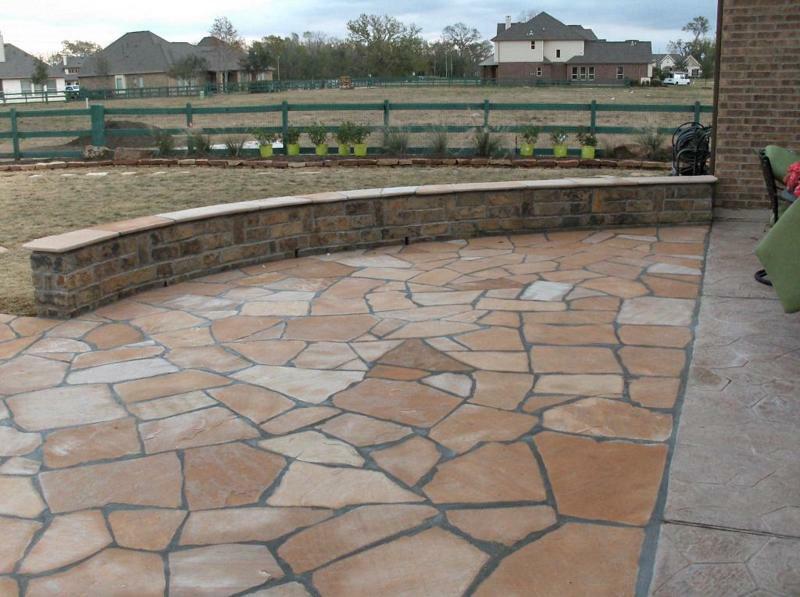 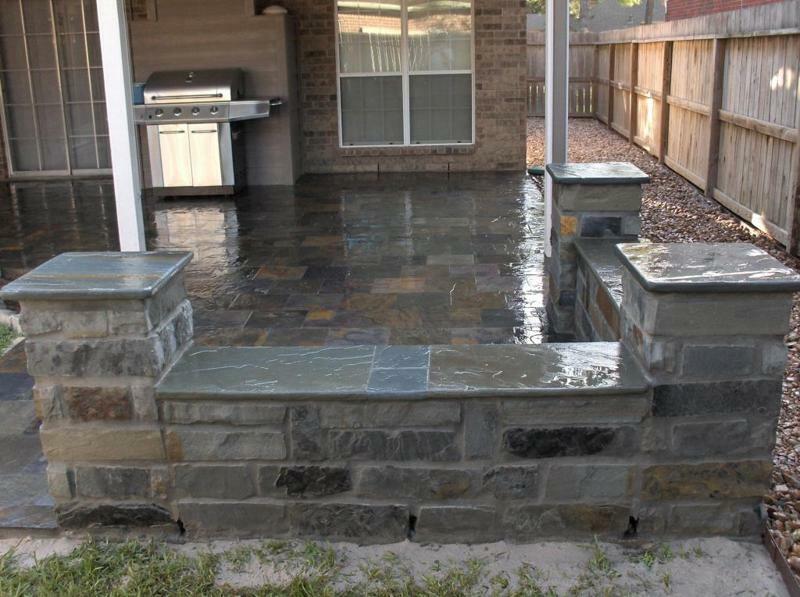 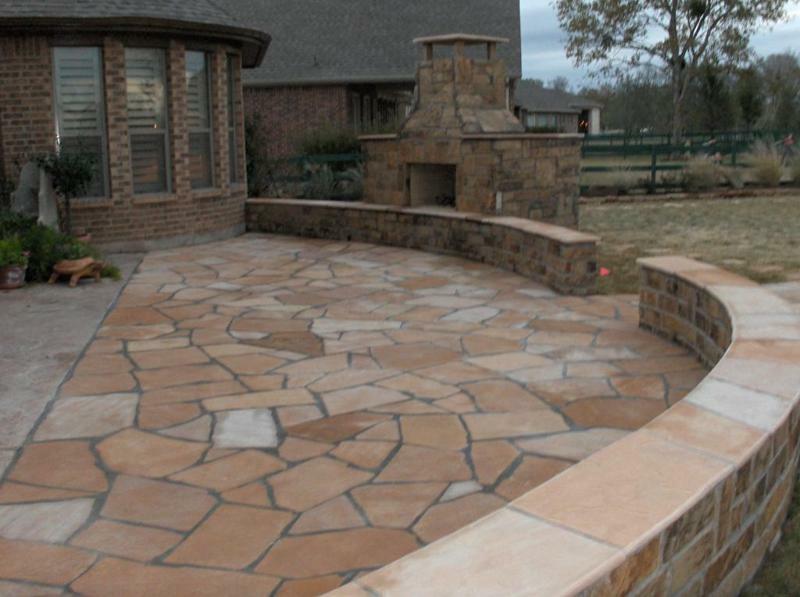 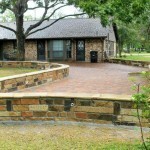 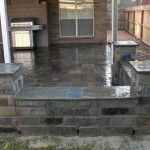 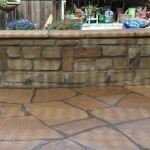 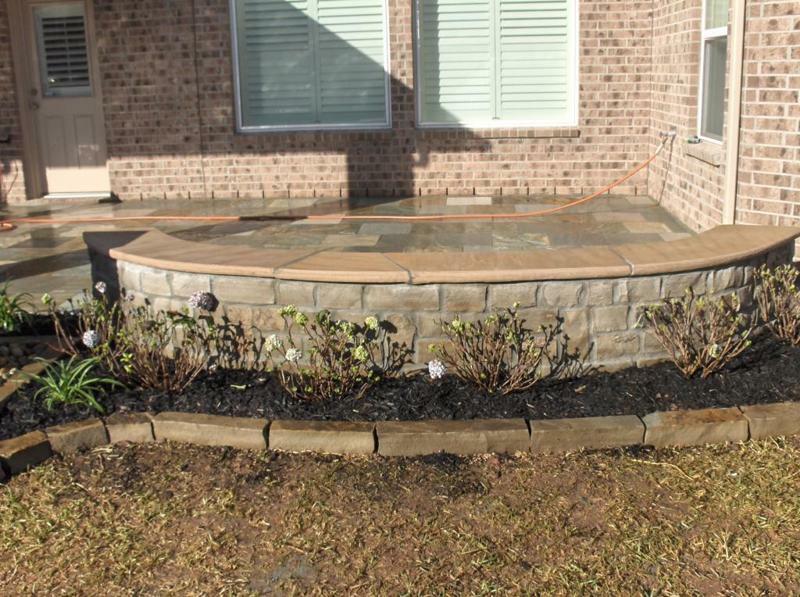 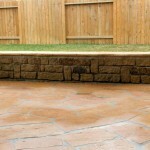 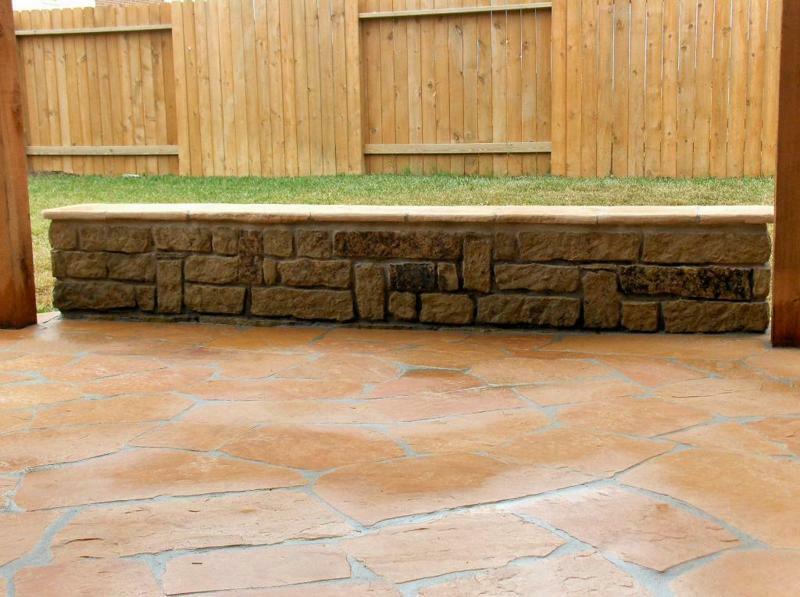 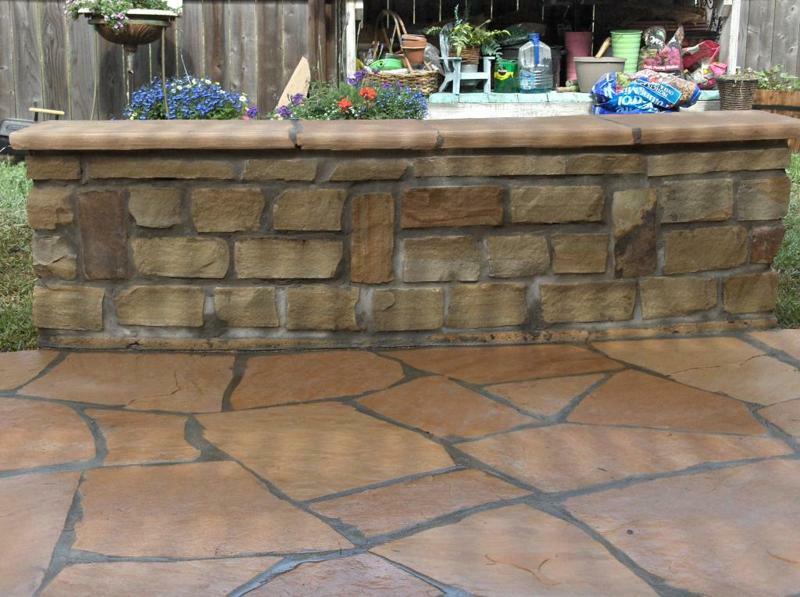 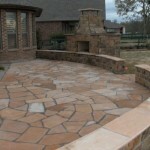 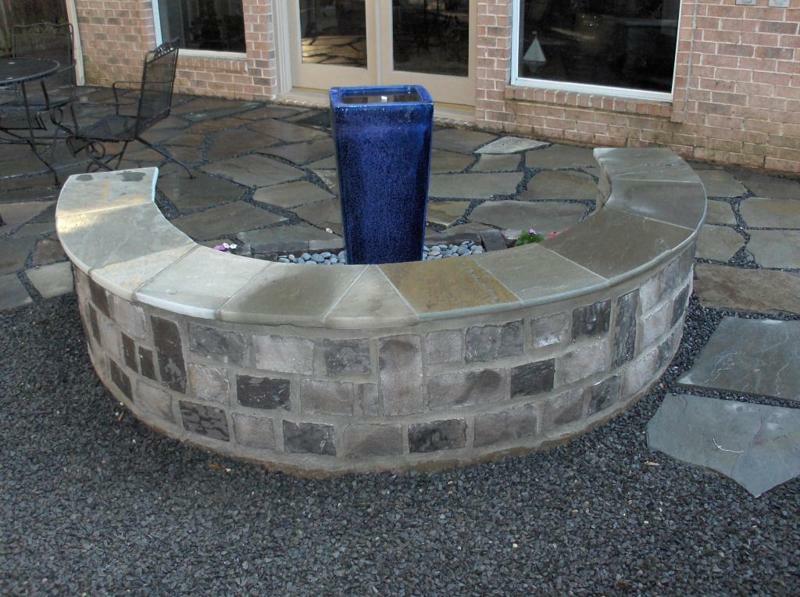 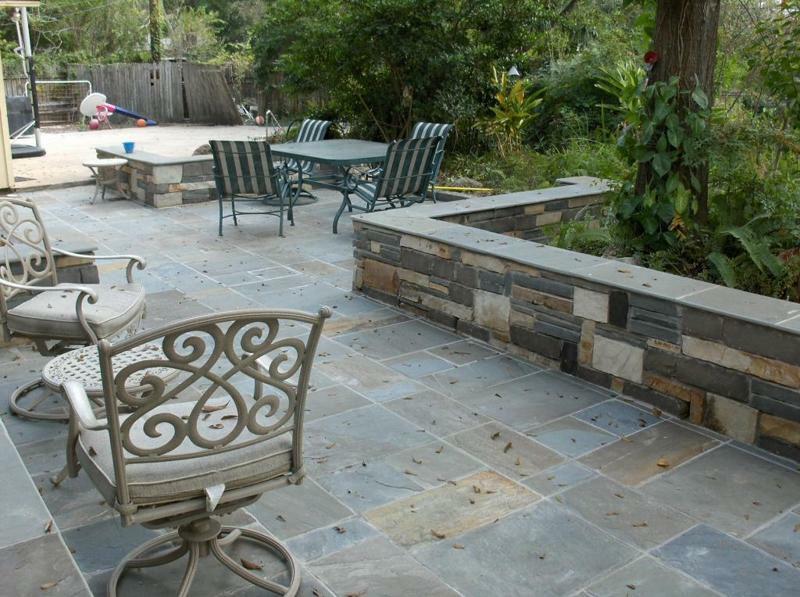 Penn full color cut stone patio with random stone sitting wall. 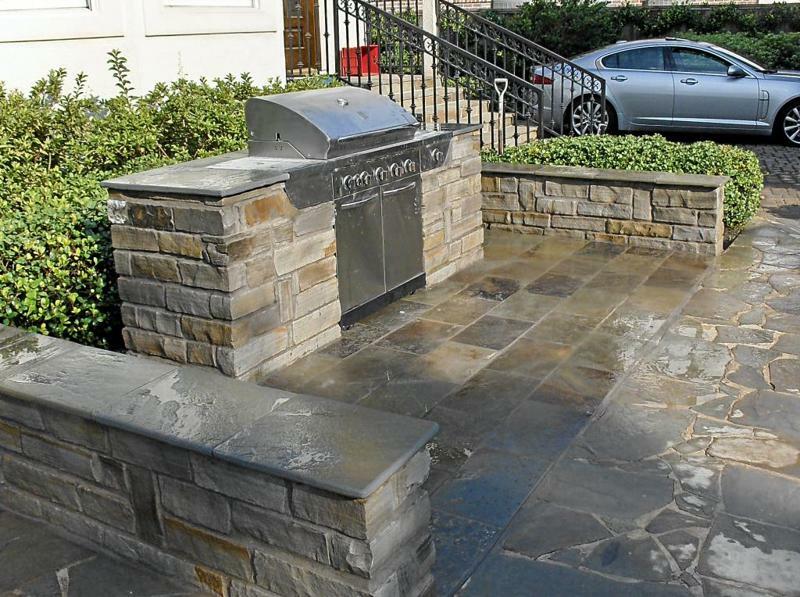 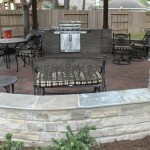 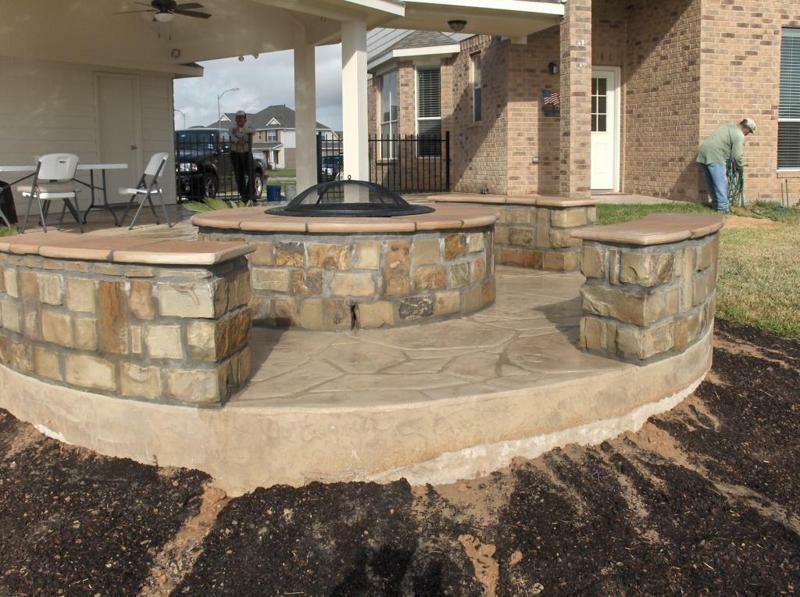 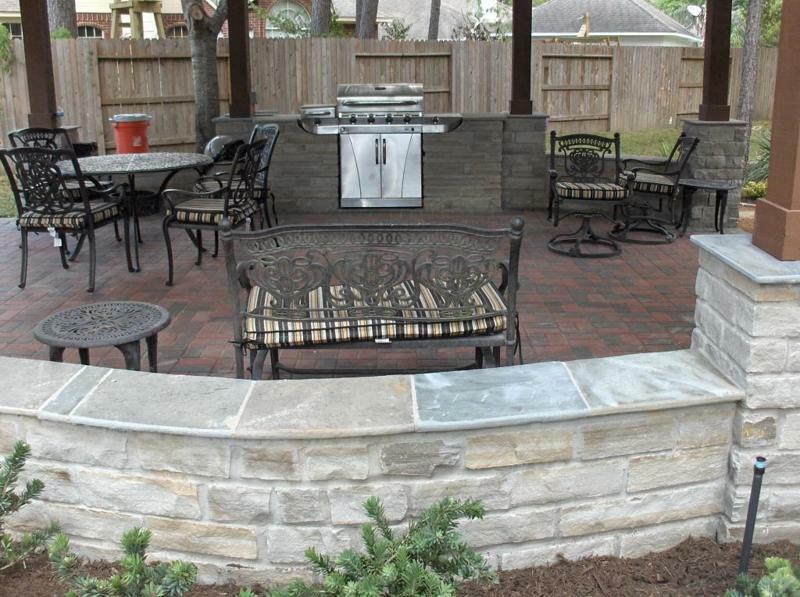 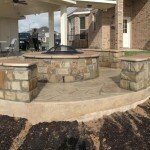 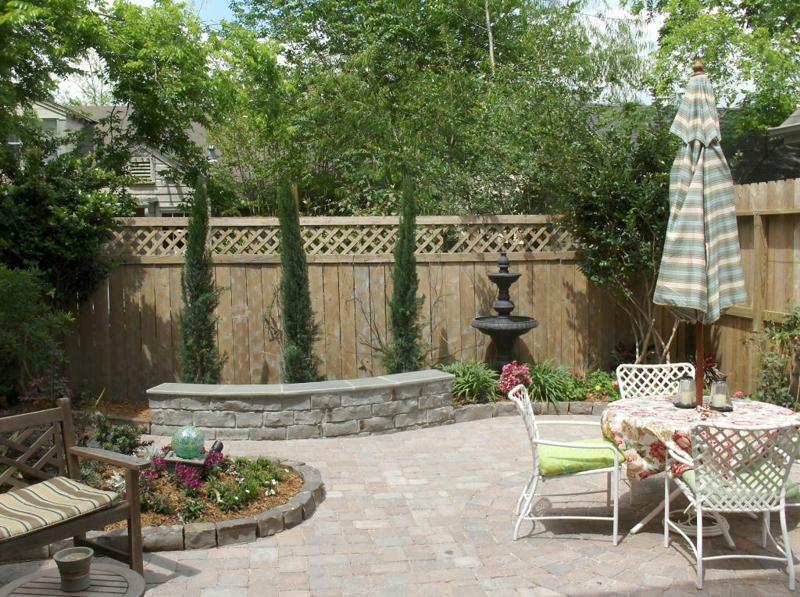 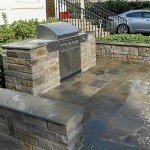 Grey chop rock outdoor kitchen,benches,stone columns and holland stone paver patio. 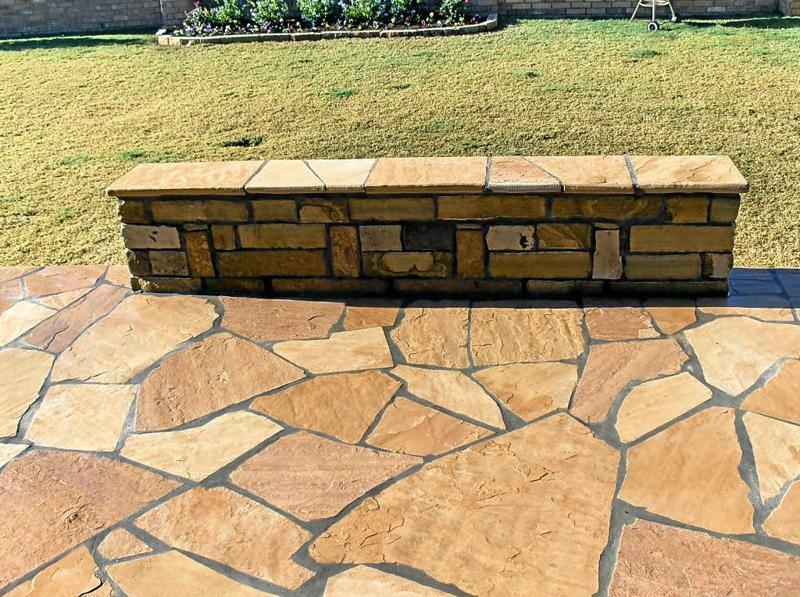 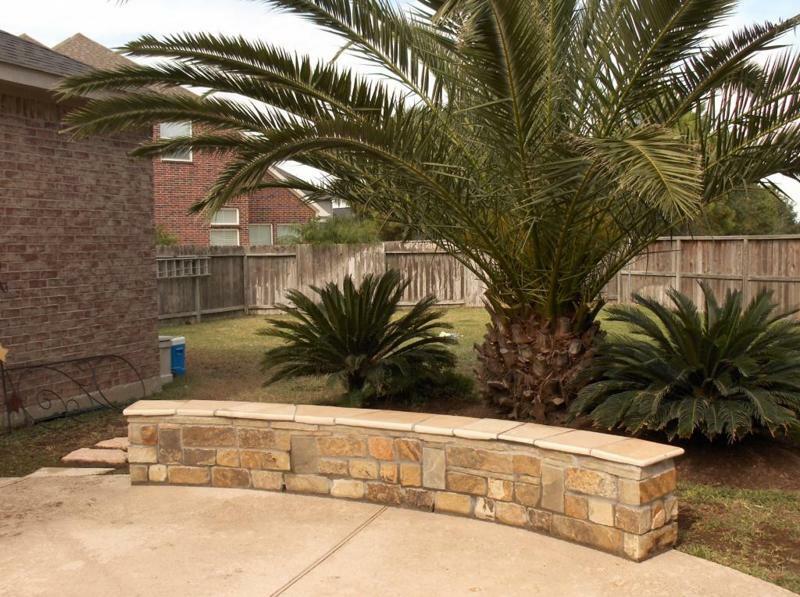 Oklahoma chop rock sitting bench with arizona buckskin patio. 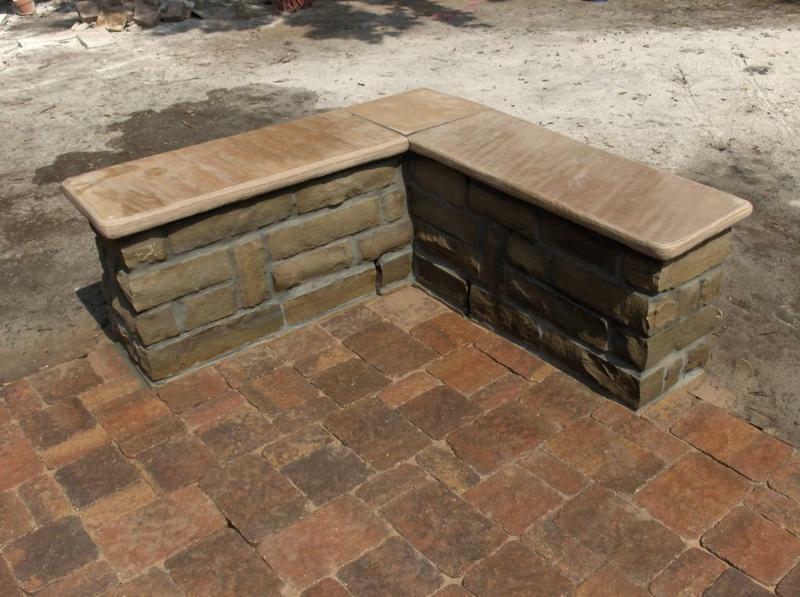 Oklahoma chop rock corner bench. 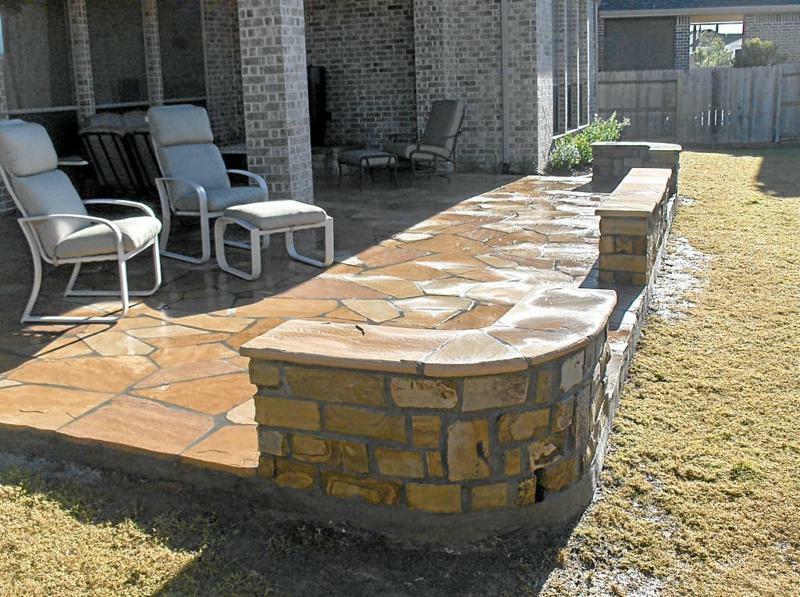 Oklahoma chop rock sitting benches. 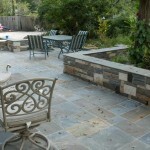 Chop rock sitting wall with buckskin tops and patio. 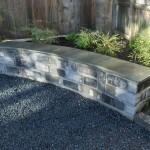 Multi-color chop rock sitting wall. 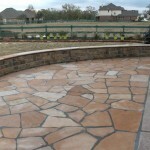 Pavestone plaza3 paver patio with oklahoma chop rock sitting wall. 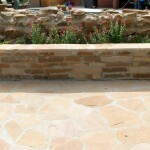 Oklahoma chop rock sitting wall with arizona buckskin tops. 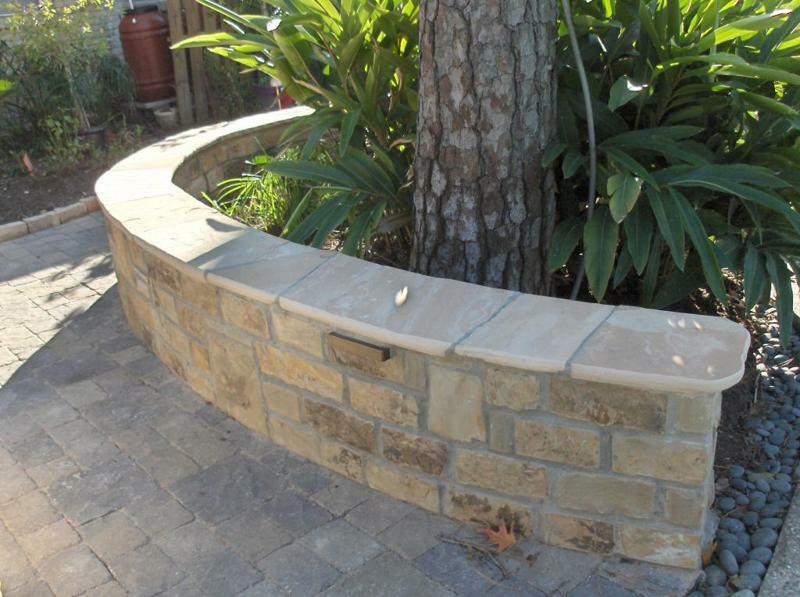 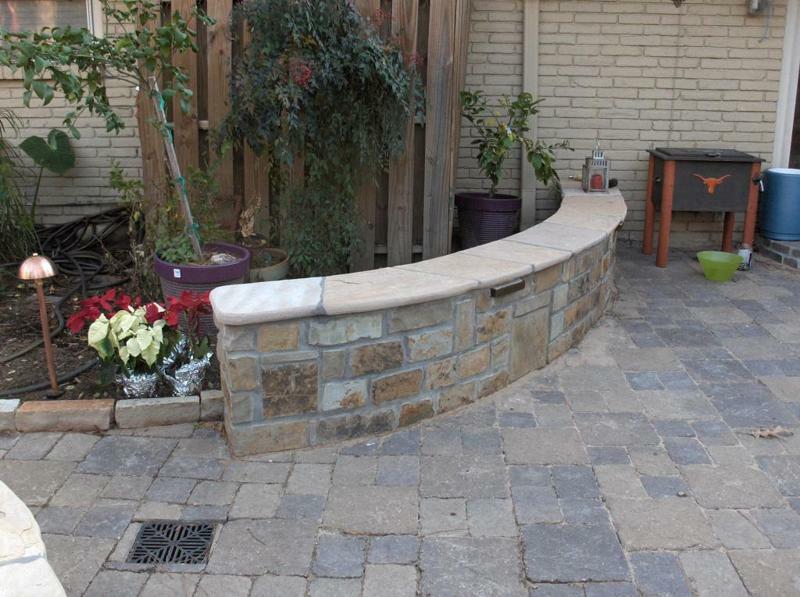 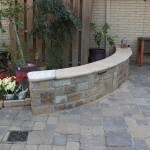 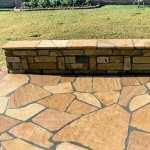 Oklahoma chop rock planter box/ sitting wall with arizona buckskin patio. 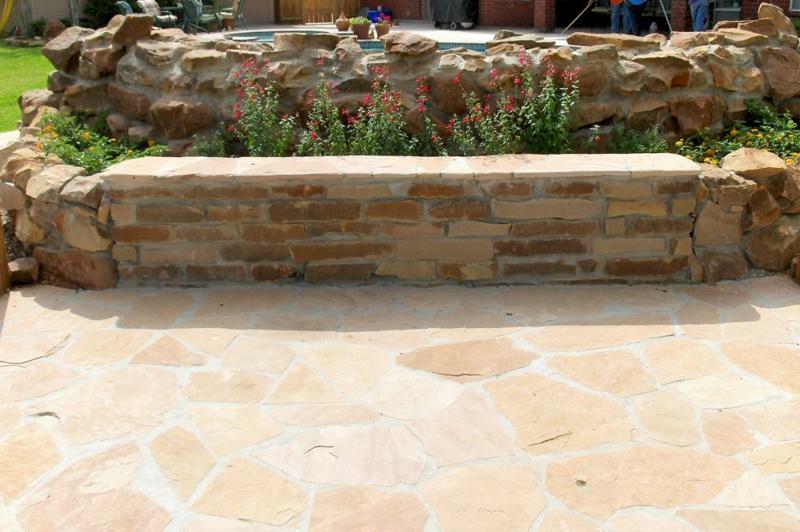 Oklahoma chop rock wall and columns, capped with arizona buckskin tops. 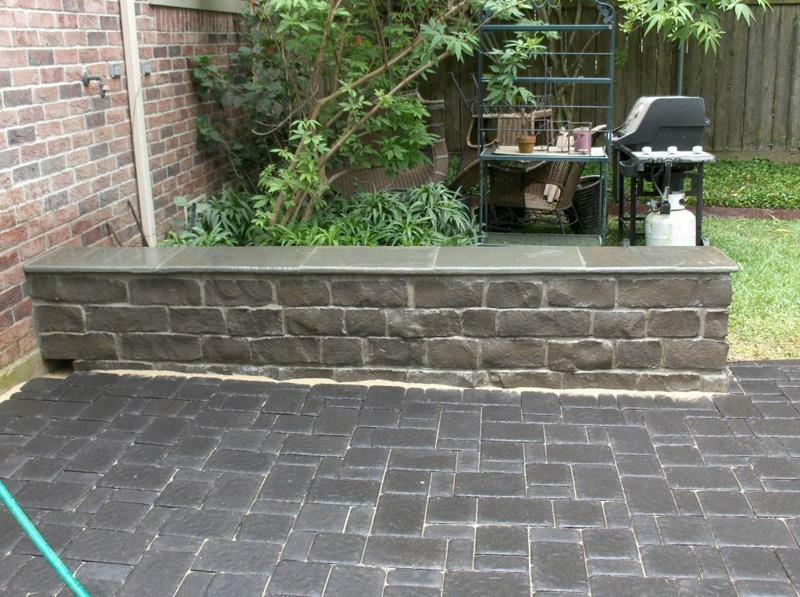 Charcoal 3 pc. 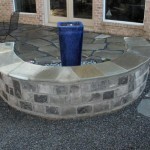 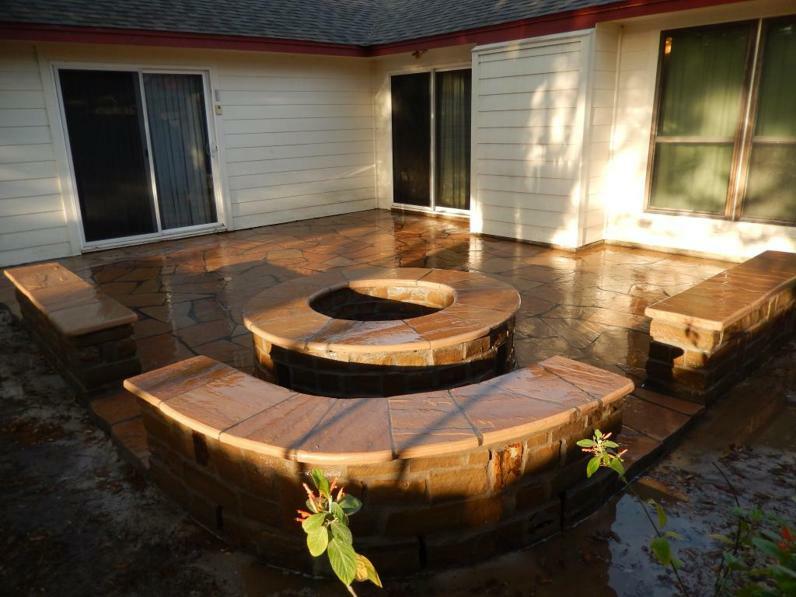 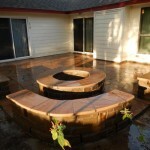 paver patio with ozark blue chop rock sitting bench with penn full color tops. 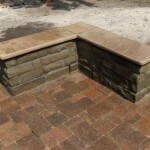 Dublin terracotta 3 pc. 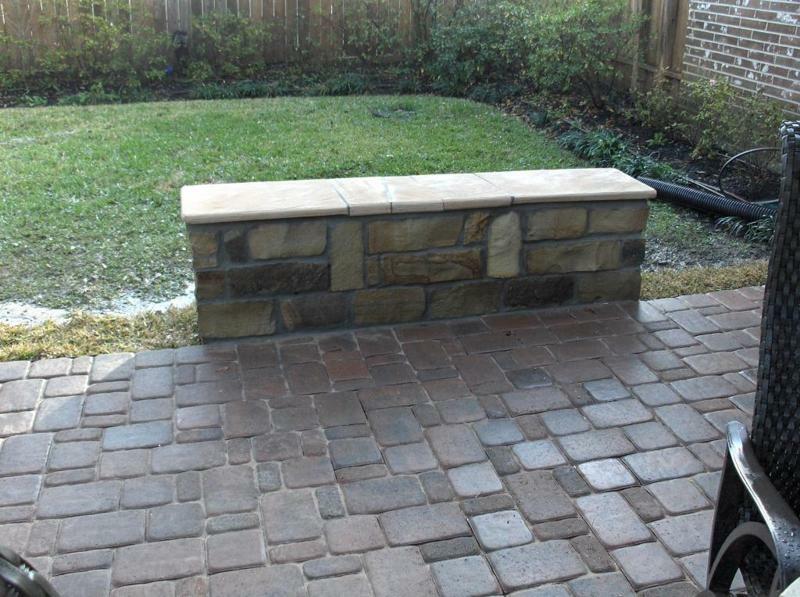 patio with ozark blue chop rock sitting bench and bed borders. 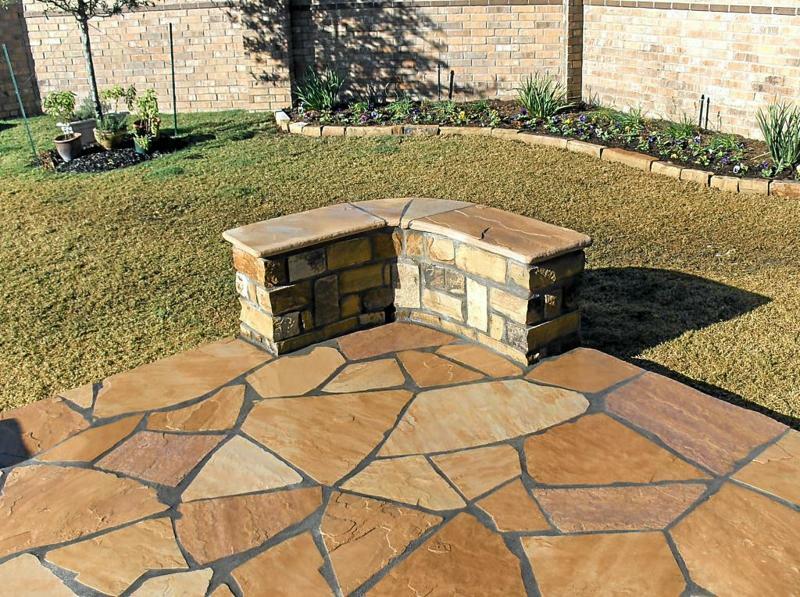 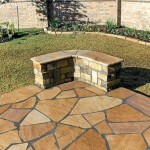 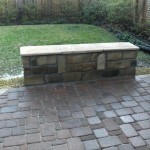 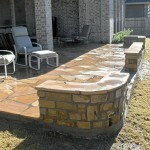 Moss rock sitting bench with arizona buckskin patio.